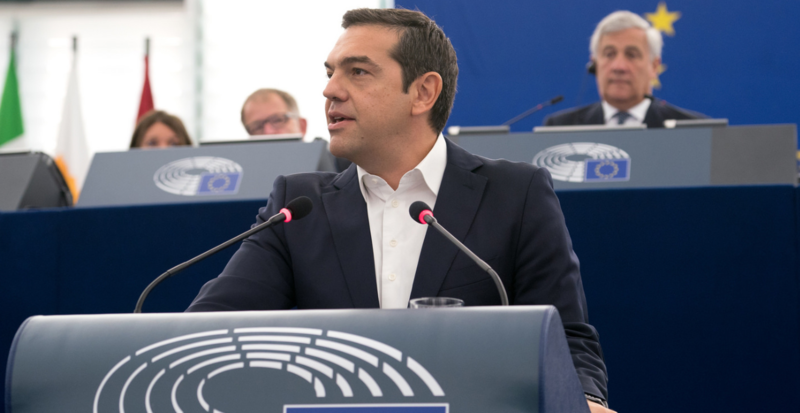 As Greece prepares for national elections this year, the pragmatic Syriza government looks to establish lasting change to existing regional inter-state relations. Athens appears to have accepted that for the extent of Turkish President Recep Tayyip Erdoğan’s tenure as President, its relationship with Ankara will be one of competition rather than cooperation. As a result, Athens has sought to formulate new agreements with its regional neighbours and extend cooperation with Washington in an attempt to isolate Ankara in the region. Festering resentment against Brussels has also led Athens to continue its policy shift towards Washington, which began during the Obama era – an intriguing development given that Greek public opinion has traditionally been sceptical of US foreign policy. Over the past year, Washington has actively supported Athens’ renewed relationships with its immediate northern neighbours – the Former Yugoslav Republic of Macedonia and Albania – to settle seemingly perpetual disputes and open new commercial markets in the region. Washington understands that in strengthening Greece, the southern flank of a crisis stricken Europe is stabilised. Athens for its part has been more than happy to cooperate with Washington, hoping to dissuade Ankara from closer ties with the US. Athens has also sought greater security cooperation with Washington, with talk of a second US military base to be established in Greece; a strong move that would highlight the strained relationship between the US and Turkey. Ties with Cyprus have remained integral to Greek foreign policy amidst persistent threats to their respective maritime boundaries from Ankara. The two countries seek to enhance their standing and establish a new regional order outside of the ambit of Turkish control. In doing so they have advanced their trade, energy security and investment ties with Egypt, Jordan and Israel. The Sixth Trilateral Summit between Greece, Cyprus and Egypt took place in Crete on 10 October and the Second Trilateral Summit between Greece, Cyprus and Jordan was held in Nicosia on 19 December. Greece and Cyprus have spoken out in support of their Egyptian partner following maritime boundary challenges by Ankara, which fears being excluded from the spoils of the gas-rich deposits in the Eastern Mediterranean, currently shared by Cyprus, Israel and Egypt. On 20 December, Prime Minister Alexis Tsipras of Greece, Premier Benjamin Netanyahu of Israel and President Nicos Anastasiades of Cyprus met in Beer Sheva, Israel, for the fifth such Tripartite Summit. 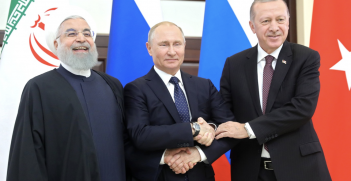 The trio discussed cyber technology and security and affirmed their intention to ink an agreement next year for the development of the EastMed Pipeline. The project will transport gas from Cypriot and Israeli fields to Italy through Greece, instead of the proposed route via Turkey. Greece would also have the ability to add its own gas to the pipeline should it exploit the fields in the Ionian Sea in the future. The parties now seek the approval of the EU Commission to begin the US $7 billion project, estimated to take around seven years to complete. The project is greatly beneficial to crisis-stricken Greece, generating much-needed income whilst advancing ties between arguably the three most stable democracies in the region, each with strong connections to Washington, and each involved in longstanding disputes with Turkey. Reports from Greece state that this trilateral relationship will also include a security alliance in which each of the three countries will ensure the defence of their collective interests in the pipeline infrastructure. Further integration between the defence forces of the three states seems likely in the future, as such an agreement would favour each party and greatly affect the power dynamics in the region. Washington continues to support the three partners in the EastMed Pipeline project, viewing it as both an important tool for building stability in a tumultuous region and as a means to relieve European reliance on Russian gas. The US Administration expressed its interest in increasing support for the trilateral relationship at the inaugural Strategic Dialogue between Greece and the US, held in Washington DC on 13 December. Ankara continues to inhibit exploration of the demarcated Cypriot waters, arguing that part of the Cypriot Exclusive Economic Zone infringes upon the Turkish continental shelf and that any exploitation of Cypriot gas will violate the right of Turkish Cypriots in occupied Northern Cyprus to receive a share of the proceeds. Cyprus for its part is attempting to lure the Northern Cypriot government back to the negotiating table, claiming that any income earned from the sale of the gas is the property of the legitimate government. Turkey’s reliability as a NATO member continues to be questioned, though the nadir of US-Turkish relations appears to have passed. With the announcement of a US withdrawal from Syria, and the pending Turkish military incursion east of the Euphrates to target Kurdish forces, Erdogan’s attention will likely be drawn away from the gas fields of Cyprus. Despite this, Turkish air incursions over Greek airspace in the Aegean continue, with both sides making strong threats to destroy the other should red lines be crossed. Should Greece and Cyprus continue to improve cooperation in the region through various trilateral summits and projects, Ankara will likely attempt to further inhibit their development in order to retain its standing as the region’s gatekeeper. With numerous opportunities for growth and development in the region, the Syriza government must balance Turkish aggression against an unpredictable US administration in what may be their final months in power. 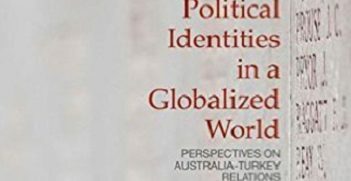 Nicholas Conomos is a law student and Bachelor of Arts graduate in Philosophy and Modern Greek Studies from the University of Sydney. He is a former President of the Sydney University Greek Society. 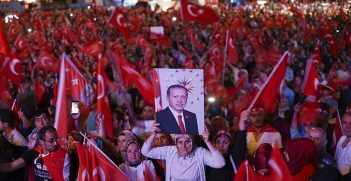 With the largest trial of suspected coup plotters now underway, Turkish President Erdoğan's post-coup crackdown has given him an apparently firm grip on power. But is he more vulnerable than he appears?